As the off-track Thoroughbred grows in popularity, more people than ever are processing adoptions of OTTBs from non-profit groups or looking to sell privately-owned project horses. With that increase in volume come some challenges for profit and non-profit outlets to make sure horses are rehomed responsibly, and for nonprofits to decide what types of horses to take on. Contracts (sale and adoption contracts) are only as good as the person signing them. Many rescue and retraining groups require adopters to sign a contract agreeing to relinquish the horse if they find themselves unable to care for it. Some groups also have limits on how soon an adopter can resell a horse privately or disallow breeding on an adopted horse. Private individuals flipping for profit may also ask buyers to sign a contract stating they will properly care for the animal or contact the seller to return. The problem with those contracts is they're made on the honor system, according to Mid-Atlantic Thoroughbred Rescue co-founder and president Bev Strauss. “A contract is only as good as the person who signs it on the other end,” said Strauss. “The only way we could ever make sure our 35 horses are protected is to never let them leave the farm, but then we'd keep those 35 horses for 20 years and that would be all we could help. Then there's the challenge of enforcing a contract. Anna Ford, Thoroughbred program director at New Vocations, said in the rare instance she has had to enforce the return clause in a contract, she's usually able to convince the adopter to return the horses without outside influence. New Vocations' contract does allow her to physically seize horses without going through the courts or the sheriff. For those without a contract like this, though, the process of suing someone to regain possession of a horse is long and expensive. Social media has made adoption coordinators' jobs a bit easier. Social media is a blessing and a curse for rescue and rehoming, panelists agreed, but it has its uses. Just as employers can now screen job applicants by looking online, so can animal rescues, and they're definitely doing it. 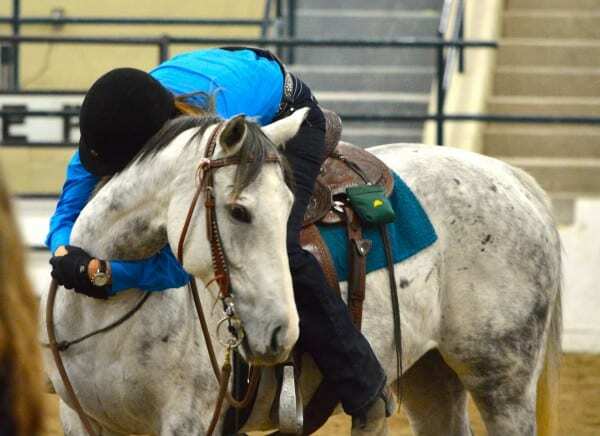 “I think that's one thing that's good about social media – everyone who contacts me about a horse, I look them up on Facebook,” said Jessica Redman of Benchmark Sport Horses in Delaware. “I look at videos of them riding, I look at pictures of their other horses. It's important they go to people who understand the retraining process, the feed, the feet and all those things. Redman pointed out it's in her best interest as a seller to match horses with buyers appropriately, and social media can give her more tools to do that. She will sometimes even refuse to show a horse to an interested buyer when she's sure they won't be a good fit, based on the rider's experience level. That's not just designed to protect the rider, but it's designed to protect her from liability concerns, too. Redman also said she makes an effort to use a horse's Jockey Club name in every post, video, or other media about a sale prospect to make it easier for fans of previous connections of the horse to track him. Social media has also increased impulse buys. Redman said a visually-impressive sale or adoption listing sometimes gets her phone ringing from people who have seen a photo and gotten excited about a horse without much serious planning. Many rescue groups will dabble in horse owner education if it keeps a horse at home. New Vocations requires adopters to fill out a form with updates and photos on their horses each year. Ford said if her staff notices a horse starting to look thin or rough, they'll contact the adopter to see what the story is. Geriatric horses often struggle to keep weight, even when getting exemplary care, as do horses who have suffered a bout of illness. If an adopter doesn't seem to realize the horse is struggling, New Vocations may offer them educational or other resources to improve the situation. This takes resources from the nonprofit, but if the horse can get back into good form, it's a worthwhile investment. “You want to help horses, but you also can't make it easy for people dump horses.” Strauss and Ford expressed frustration at seeing older horses brought in by owners who had benefited from the animal's athletic career, simply because they weren't interested in paying the bill any longer. Strauss agreed, pointing out she is seeing a large number of people trying to surrender, sell, or give away retired broodmares. For the nonprofit, this is also a tricky spot because older horses like these will have very limited prospects for adoption and could have greater veterinary or farrier needs. This places a greater strain on an already-tight bottom line. Sometimes the hardest decision is the right one. We've heard it many, many times before, but panelists agreed: there remains a cultural discomfort in the United States with euthanizing animals, and that's not always a good thing. This entry was posted in Horse Care, NL List and tagged Anna Ford, benchmark sport horses, bev strauss, jessica redman, mid-atlantic horse rescue, New Vocations, OTTBs, retired racehorse project, thoroughbred, Thoroughbred aftercare, Thoroughbred Makeover by Natalie Voss. Bookmark the permalink.